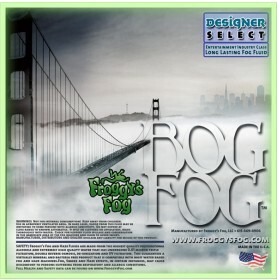 The Bog Fog Extreme High Density HDF mix from Froggys Fog generates an extremely high density, white, airborne fog with a very high index of refraction and slower evaporation rate. 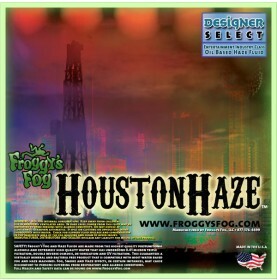 It is well suited for scenic obscuring and strobes "white-out". 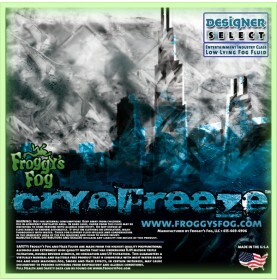 Cyro Freeze Fog Juice is the perfect Stage & Studio Fog Fluid for Indoor & Stage Ground Effects, for use in Theatrical Environments where a great fog effect is desired but the fog does not need to linger. 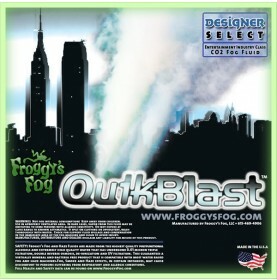 This blend works perfect in weddings, film & plays. 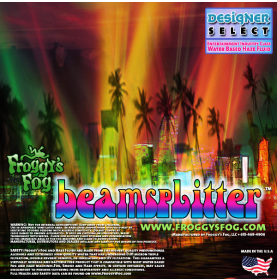 Outdoor Ground Fog - You must use a Fog Chilling Device to create Low Lying Fog Effects! 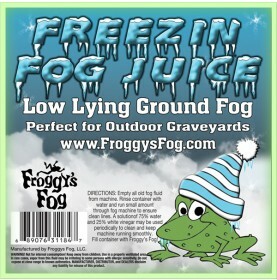 Froggys Freezin Fog is a water based fog machine fluid formulated to create optimum low lying fog effects for outdoor graveyard scenes. 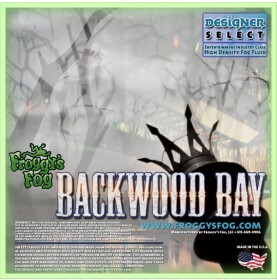 Best Low Lying Fog for Halloween Graveyard Type Effects, You must use a Fog Chilling Device to create Low Lying Fog Effects! 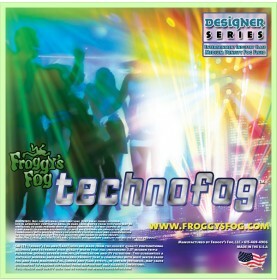 Techno Fog is the cost effective solution for airborne fog effects. 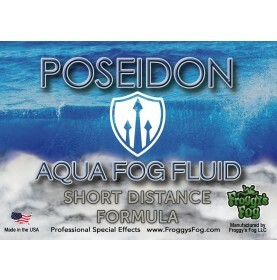 Some applications such as film or photography and special effects require a faster dissipating fog. 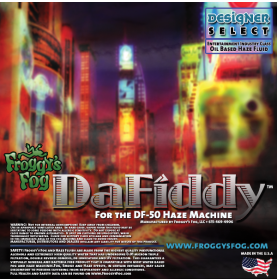 With a hang-time of only 30-40 Seconds, Velocity fast dissipating fog is the designer's choice when a fog effect that disappears quickly is needed. 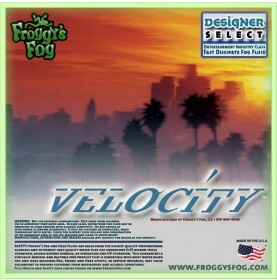 VELOCITY is the perfect Fast dissipating fog fluid for your atmosphere! 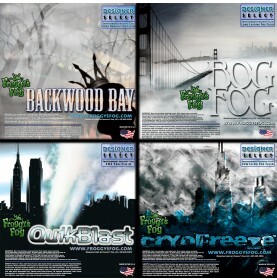 The Best of our line up! Need to evaluate formulas for your stage, scene, strategy or sinister scenario? We've got you covered. 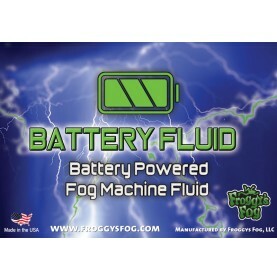 Specially formulated for indoor settings with the full range of snow machines available on the market today. 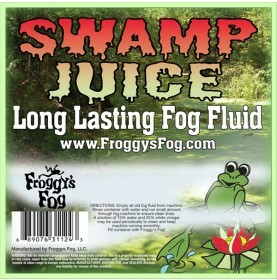 Not harmful to plants, skin or eyes. 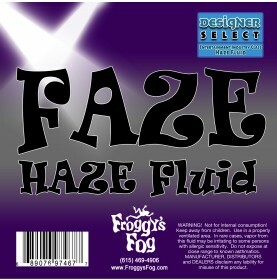 Safe for kids. 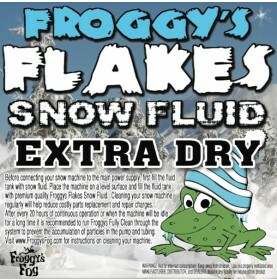 EXTRA DRY Snow Juice Machine Fluid - Froggys Flakes (30 Foot Float / Drop) Highly Evaporative Formula. 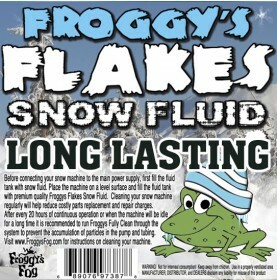 Specially formulated for the full range of snow machines available on the market today. LONG LASTING Snow Juice Machine Fluid - Froggys Flakes (75+ Feet Float / Drop) Blizzard Formula. 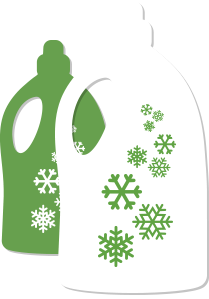 The perfect snowflake for blizzard looking conditions!